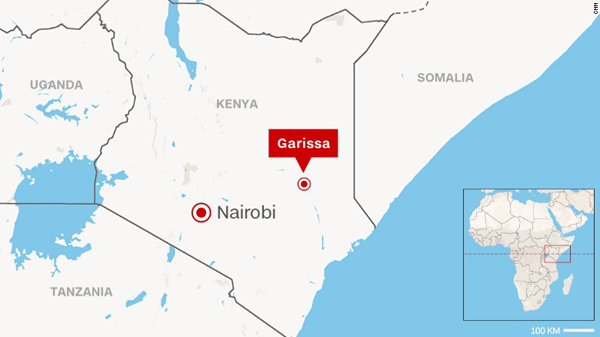 A terrorist attack in Kenya has left 147 people feared dead with scores injured after four masked Al-Shabaab gunmen stormed the Garissa University College, 200 kilometres from neighbouring country, Somalia. In the early stages of the gruesome attack, an Al-Shabaab spokesperson claimed they were holding Christians hostage and freeing Muslims. This, a deliberate narrative from the terrorist group ultimately meant to incite religious animosity amongst Kenyans. In response to the attack, government implemented an overnight curfew in parts of the country with the President ordering 10,000 police recruits to begin training immediately in order to bolster security efforts in the country. Kenya has bore the brunt of such attacks from Al-Shabaab, with over 360 people killed since the deployment of Kenya armed forces in Somalia in 2011. The AEA General Secretary, Rev. Aiah Foday-Khabenje, condemned the attacks as evil and works of the Satan itself and that this will not escape the eyes of God. “On behalf of the AEA fraternity, I would like to convey our heartfelt condolences to the nation of Kenya and specifically families that have lost loved ones in the Garrissa University attack. Be assured of the prayers of the Church in Africa and around the globe,” said Rev. Aiah. Christ Indeed is Risen (Happy Easter)! Visit www.aeafrica.org for more information.